Infrared Home Inspections in Dublin Ohio - (614) 459-5941 for service! 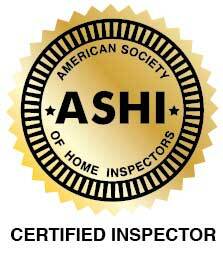 Find out more details about our most common home inspection services in Dublin Ohio. Please feel free to contact us if you have any questions about a particular home inspection service. Call 614) 459-5941 at any time! Professional Property Inspection can see what other home inspectors can't see! Our home inspections services are always performed with infrared thermal imaging technology! We identify hidden problems in your Dublin Ohio home, so you save money! Satisfaction guaranteed! Find out what our customers are saying about our home inspections service in Dublin Ohio! Best commercial property inspection in Dublin Ohio! David Tamny has done two inspections for me and will do another when I purchase a new home soon. He is always professional, punctual, and thorough. I would not trust this to anyone but him. Very thorough, absolutely fabulous; for the price, we received excellent service. He did everything. David was great. Not only did he provide a very professional report and great advice, but he did it in 5 degree weather in two houses without heat! He was a trouper and I don't think we could have asked for more. David Tamny did a very thorough inspection of the house. He did an excellent job explaining the concerns he found. He brought a laptop with him and gave me a printed report on the spot. David does not recommend any contractors, so there are no conflicts of interest. The price was a little high, but I feel it was worth it for the thorough job he did. David Tamny was extremely professional, prompt, and efficient. He brought a laptop computer and portable printer so that the report was received immediately. The report was extremely thorough and detailed with remarks about major and minor deficiencies that helped make decisions about preparing our home for sale. Highly recommended! Dave is great! I used him when I purchased my previous home and have friends that have also used him. He is very thorough, takes his time, as is willing to explain things to your satisfaction. Highly recommended!